The latest entrant in the Google Lunar X PRIZE competition is Team Synergy Moon, bringing the total number of teams to seventeen. I am excited to say that I am a member of this team. Back in late 2007, some members of Interplanetary Ventures approached me via Facebook and asked if I'd be interested in discussing options for their proposed lunar project. I agreed and ended up suggesting several possible science targets for the mission. Over time, the team designated me as Science Officer and is now calling me Principal Investigator. We haven't really started the hard design work yet, but now that our entrance into the competition is official, I expect more activity on that front. I'll keep the readers posted on updates from time to time, or you can check out the links in the press release below. Another unofficial press release from a couple of weeks ago is available here. MOJAVE, Calif. (February 27, 2009) -- The ambitious dream of returning to the Moon - this time to stay - is alive and well in a magnificently diverse team of space enthusiasts, artists, engineers, students, and explorers jointly called SYNERGY MOON, the latest entrant in the X PRIZE Foundation's Google Lunar X PRIZE. The team, comprised of 48 members from 15 countries across the globe, is sponsored by eSpaceTickets.com, the world's oldest space tourism contest organization. SYNERGY MOON has also partnered with rocket manufacturer Interorbital Systems (IOS), which competed in the historic 2004 ANSARI X PRIZE $10 MM Race to Space. "The Google Lunar X PRIZE is meant to open the field of lunar exploration to a global community of inventors, explorers, and entrepreneurs," said William Pomerantz, Space Projects Senior Director, X PRIZE Foundation. "SYNERGY MOON is a fantastic addition to our roster of teams - the team includes a truly global set of innovators who will approach this difficult mission with new ideas and new passion." 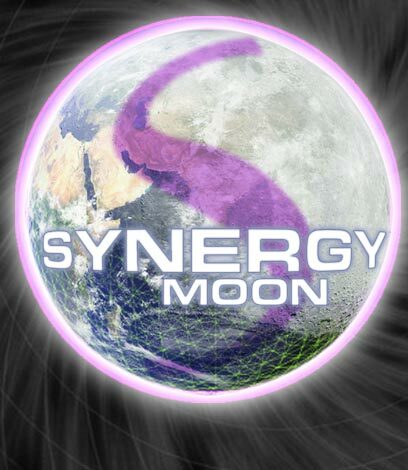 The SYNERGY MOON team was created through the collaboration of three interrelated organizations: InterPlanetary Ventures (IPV), a private sector space promoter; the Human Synergy Project (HSP), a multi-national sustainable projects group; and Interorbital Systems' rocket team, led by Roderick Milliron. "Our mission in entering the Google Lunar X PRIZE is to help create excitement and reignite the public's interest in space exploration," said Kevin Myrick, SYNERGY MOON Team Leader. "We're working diligently to create and showcase innovative new technologies that will help support humanity's expansion throughout the solar system." As part of SYNERGY MOON's efforts to raise awareness of their efforts and participation in the Google Lunar X PRIZE, they've organized a variety of global promotional events, including space-themed concerts, art festivals, space-related fashion shows, and breathtaking core technology demonstrations including rocket engine hot firings, suborbital and orbital hardware testflights, and ultimately their X PRIZE lunar missions. These initiatives, along with a youth outreach program, are organized by Nebojsa Stanojevic, Director of the Human Synergy Project and SYNERGY MOON's International Promotion and Productions Coordinator. To learn more about SYNERGY MOON's sponsors and partner organizations, visit www.eSpaceTickets.com and www.interorbital.com. SYNERGY MOON team updates are available at www.synergymoon.org and www.googlelunarxprize.org. Each week, new features will be posted that detail the up-close-and-personal stories of the amazing personalities who make up SYNERGY MOON. The $30 million prize purse is segmented into a $20 million Grand Prize, a $5 million Second Prize and $5 million in bonus prizes. To win the Grand Prize, a team must successfully soft land a privately funded spacecraft on the Moon, rove on the lunar surface for a minimum of 500 meters, and transmit a specific set of video, images and data back to the Earth. The Grand Prize is $20 million until December 31st 2012; thereafter it will drop to $15 million until December 31st 2014 at which point the competition will be terminated unless extended by Google and the X PRIZE Foundation. For more information about the Google Lunar X PRIZE, please visit www.googlelunarxprize.org. The X PRIZE Foundation is an educational nonprofit prize institute whose mission is to create radical breakthroughs for the benefit of humanity. In 2004, the Foundation captured the world’s attention when the Burt Rutan-led team, backed by Microsoft co-founder Paul Allen, built and flew the world’s first private spaceship to win the $10 million ANSARI X PRIZE for suborbital spaceflight. The Foundation has since launched the $10 million Archon X PRIZE for Genomics, the $30 million Google Lunar X PRIZE, and the $10 million Progressive Insurance Automotive X PRIZE. The Foundation and its revolution partner BT Global Services are creating prizes in Exploration (Space and Oceans), Life Sciences, Energy & Environment, Education and Global Development. The Foundation is widely recognized as the leading model for fostering innovation through competition. For more information, please visit www.xprize.org.